Our Collection at Boxers and Briefs contains only the highest quality Lacoste Mens Underwear. 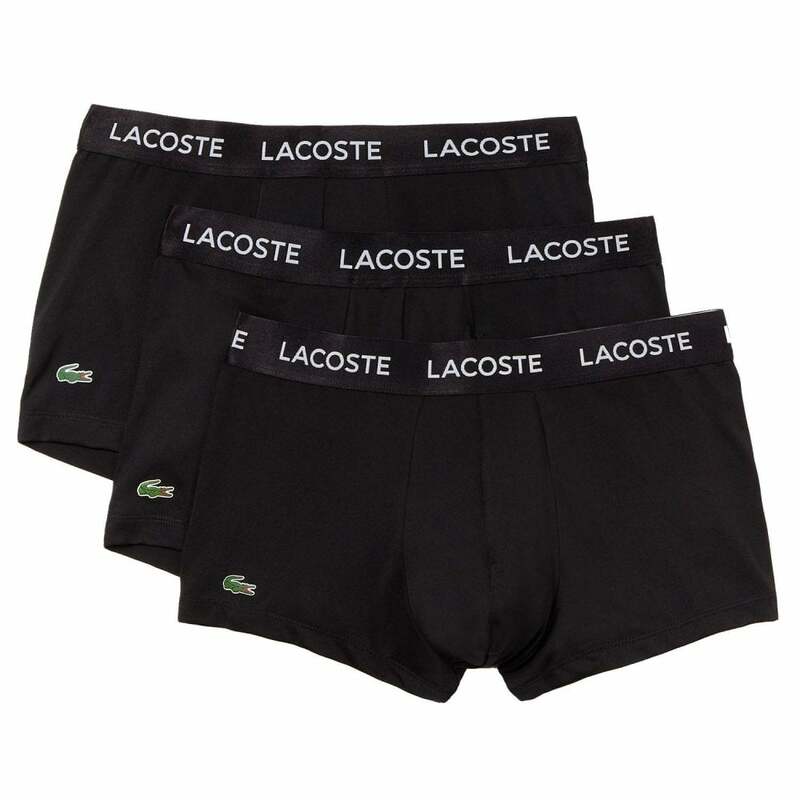 In our Lacoste Boxer Trunk range we have the Lacoste Cotton Stretch 3 Pack Boxer Trunks. This 3 pack Lacoste Colours Microfiber Stretch Boxer Trunk is a Premium selection from Lacoste offering optimal fit with ultra soft fabric.. In this range we have the Black Lacoste Colours Microfiber Stretch 3 Pack Boxer Trunk, which is available in multiple sizes ranging from Small to Extra Large.